Have you ever been to a place where everybody knows your name? Or it's guaranteed they will by the time you leave? That's the Food and Wine Conference experience for me, wrapped up with a pretty bow. And a bell. 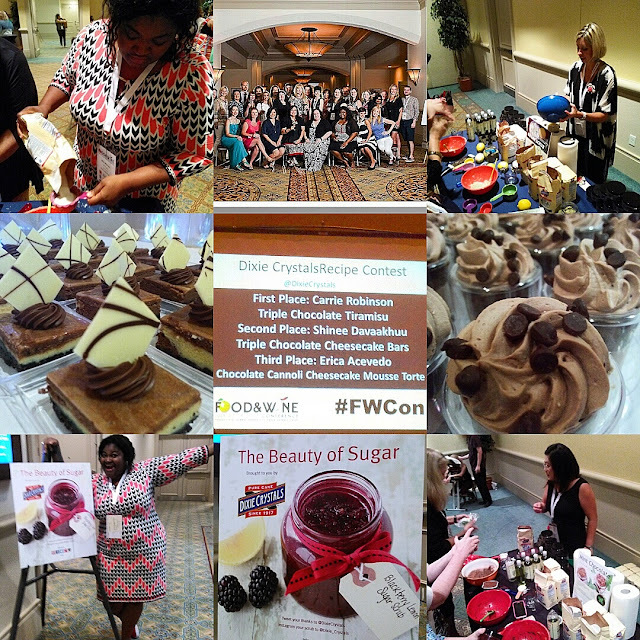 2015 was my third consecutive year attending the annual Food and Wine Conference and each year keeps getting better and better. This conference holds a special place in my heart, because my life truly did change after attending back in 2013. I was an official Brand Ambassador for Dixie Crystals along with Betsy of Desserts Required. It was easy because Platinum Sponsor Dixie Crystals really is the sugar brand of my choice and the conference kicked off with a SWEET Sugar Scrub Suite where everyone was invited to make one or more handmade sugar scrubs using essential oils, herbs and of course, the finest sugar around. The recipes for the scrubs can be found HERE, so you can give a little sugar scrub love as a gift or keep it for yourself! In addition to the suite, Dixie Crystals also sponsored a chocolate dessert contest this year and the runner-up and Grand Prize winners were featured desserts after Sunday Supper on Saturday night. The memories made and friendships cultivated mean just as much as money or love to a blogger. 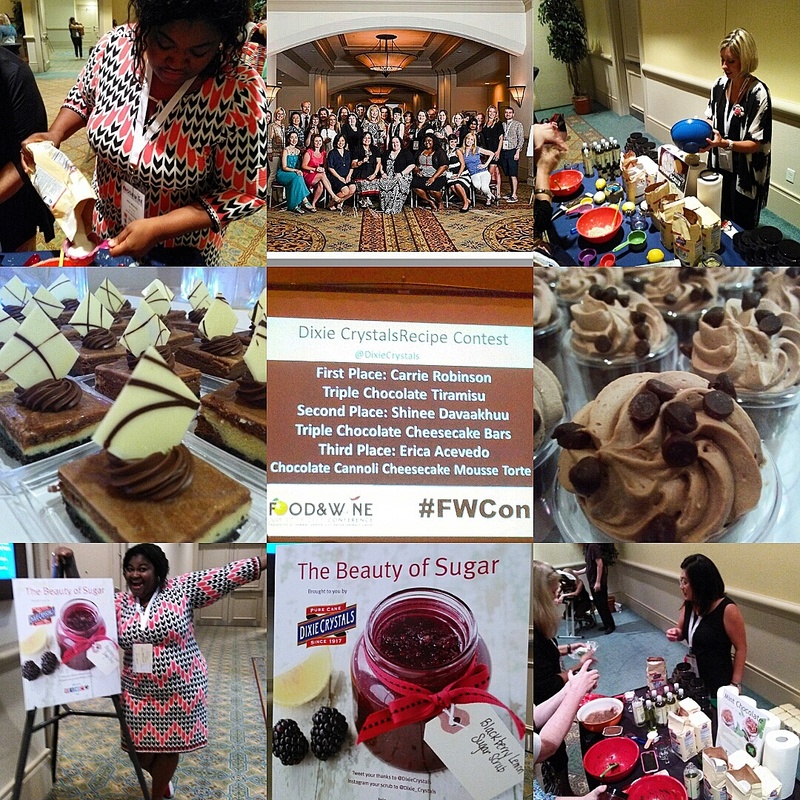 Travel is the only thing you can buy that will make you richer and #FWCon is no different. This year, I focused on how to build my business and ongoing friendships with bloggers and REALLY enjoying myself. 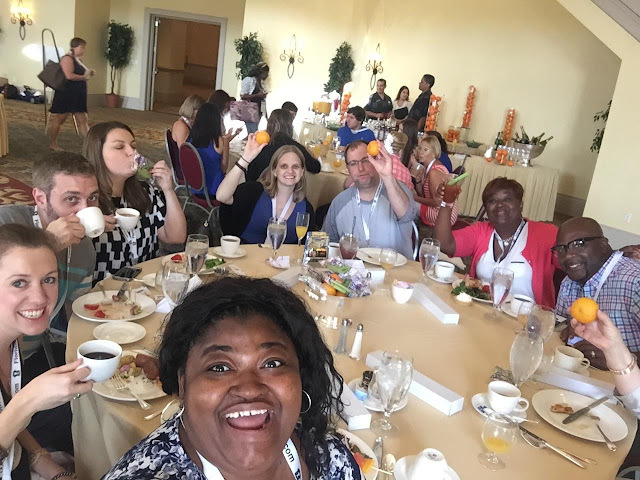 The three-day conference was jam packed full of activities, sessions and social events. 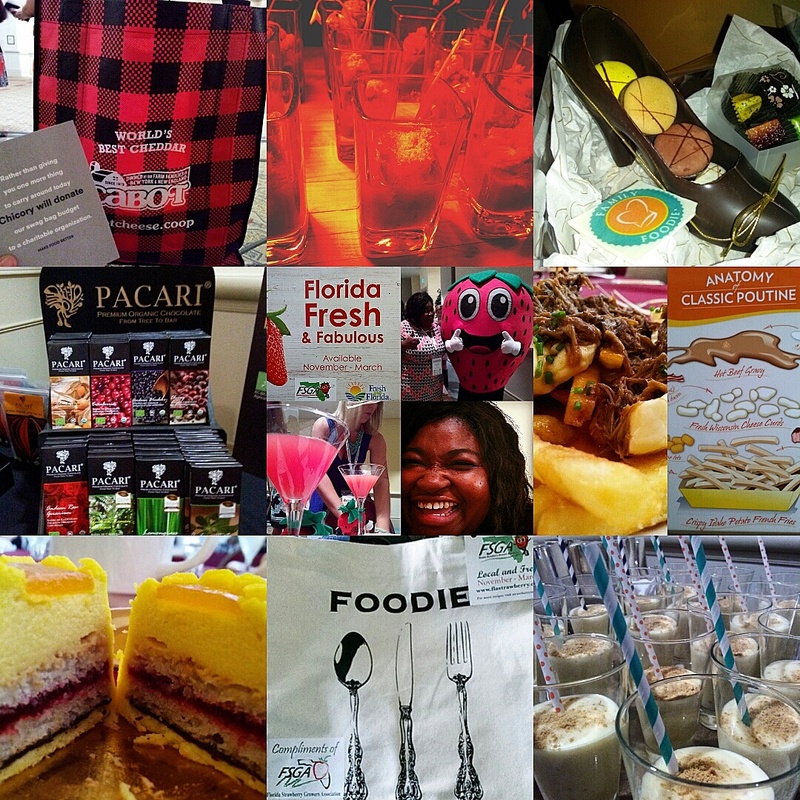 Swag bags, brands and food photography were the key buzzwords over the weekend. The beautiful Rosen Shingle Creek Resort pulled out all of the stops and treated us like queens and kings all weekend. The incredible displays of culinary artistry was in full effect. I had to limit my intake of all the food, because there was so much to choose from. From the sumptuous breakfasts, snacks, dinners and brunch, if you left Orlando hungry, it's because you didn't try hard enough! Overall, I recommend Food & Wine to any and every blogger. If you're into learning about yourself, how to be a better blogger and truly cultivating blogger relationships, this is the place to be. Check us out for 2016. You won't be disappointed! I am really hoping to attend this event next year. My blog is about NYC travel but also all the great food that you find as well. I like the idea of learning and networking at the same time, seems like a very good idea. Thanks for the information in the post!